Don’t let their simplicity fool you. 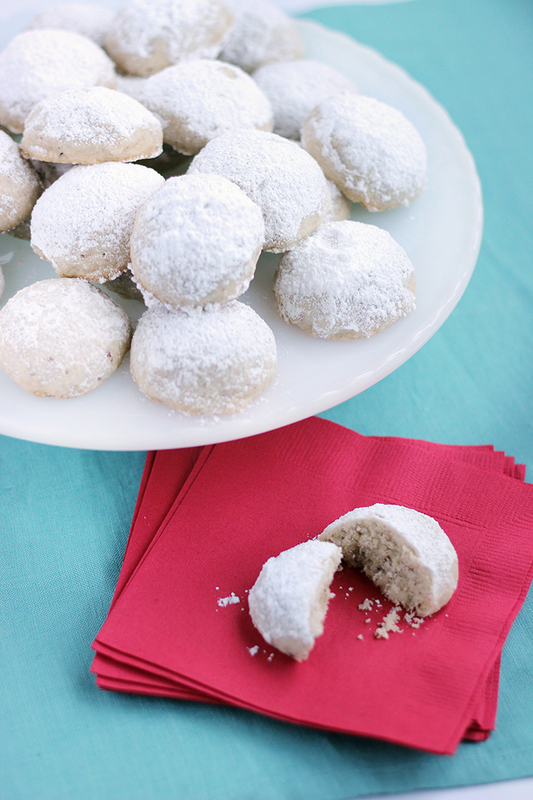 These little snowball cookies are jam packed with nutty almond flavour. Like throwing a snowball, you can’t stop at one. It’s impossible, I’ve conducted an extensive study. My Italian family makes very similar cookies, in fact you may see/hear them referred to as Italian cookies or Russian tea cakes. Those people don’t mess around so you know they’re good. 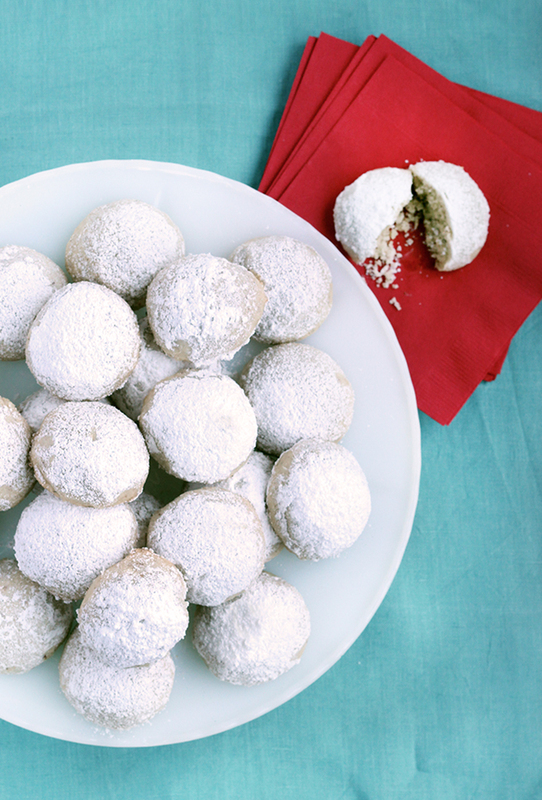 I’ve been wanting to try this recipe for awhile and when I had to come up with a holiday treat to share for the Leon’s Hello Holiday guide I thought these would be perfect. They turned out more like half snowballs but that doesn’t bother me because they still look festive and they are delicious. Like addicting. I brought them to work and they were gone in a second. It’s a really simple recipe and you can easily change it up by adding whatever flavours you like. I’m going to try Lemon next time. You can find the recipe over on the Hello Yellow blog. If you like this, don’t forget to stop by our recipe gallery for more tasty treats. These look delicious! I love the flavour of almond around the holidays, I can’t wait to try these. Thank you for sharing.